Discussion in 'Show off' started by Spoon Unit, Mar 26, 2016. This is printed with dual volcanoes. I have a little work to do with X/Y alignment, sure, but it still feels like an achievement. 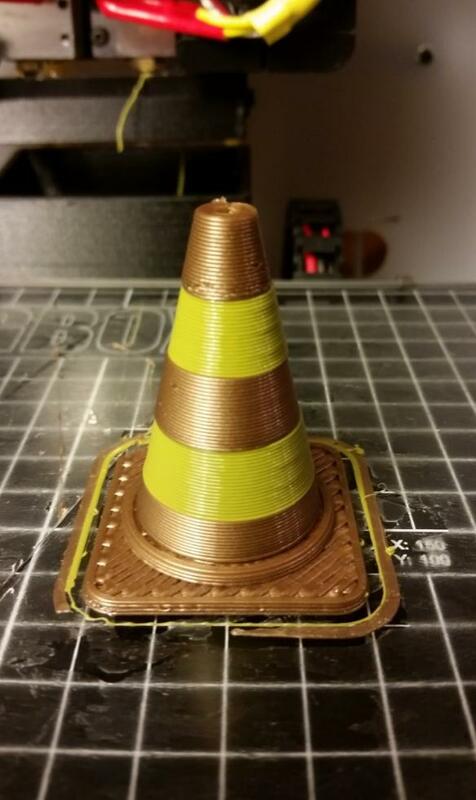 Left nozzle is 1.2mm nozzle (printing gold/bronze) and the right hand side is a 0.6mm nozzle printing khaki. The layer height is 0.5mm for both. And don't tell me you aren't completely gobsmacked at the single-line brown skirt thickness! It really is a thing to behold. JvdP, mike01hu, Mike Kelly and 2 others like this. JvdP and Spoon Unit like this. Yuk! But the single line thickness is a roadway! That's a very pretty result (apart from the ginourmous seam...). 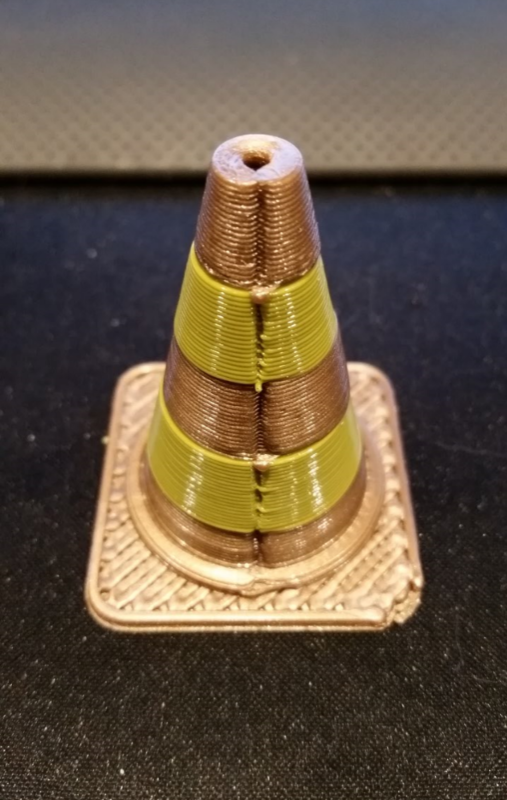 I'm positively surprised at how well Simplify3D does with such large difference in nozzle diameter. @JvdP I can probably do much better with that seam now I understand through experience how to reduce the crack by pushing extra plastic into the head on restart. You couldn't remove the seam entirely, but you could make it less chasmic.